2. I had no idea watermelon stained clothing. Boo. 3. 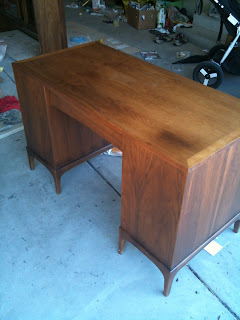 Desk refinishing project is finished. 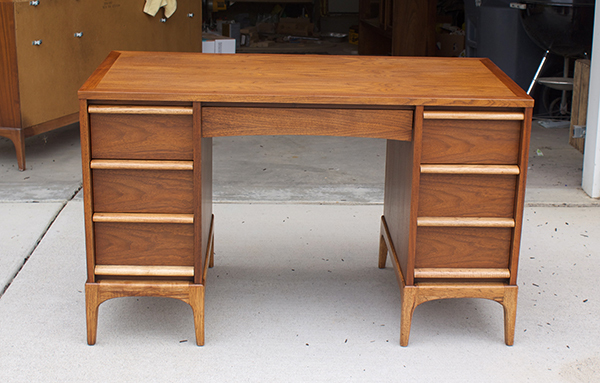 This will be the last one for a little while, but it is our favorite so far. 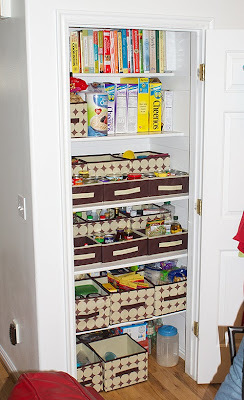 Love your pantry re-organization! 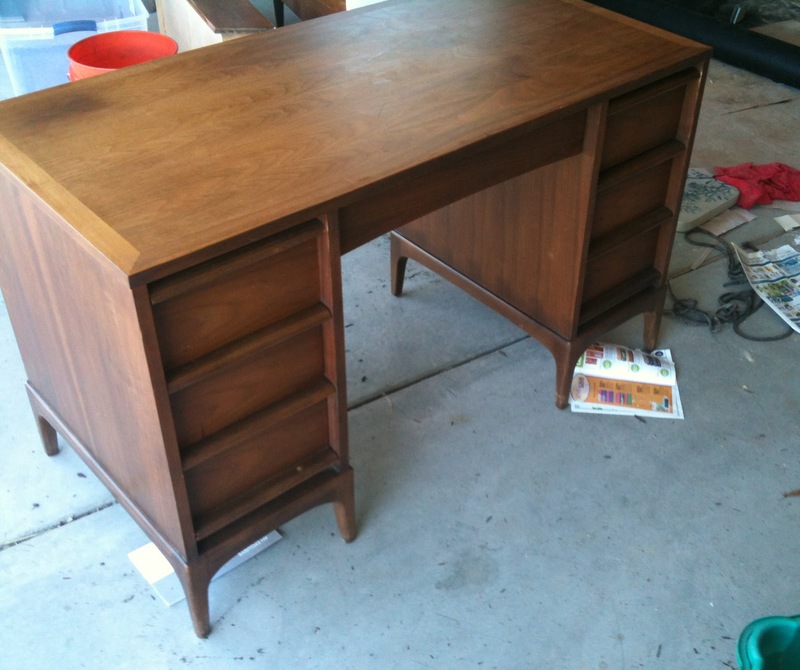 How long did it stay that neat? 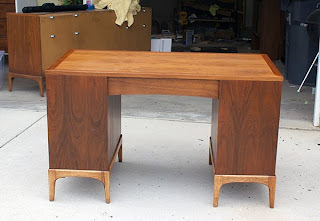 ;) the desk looks amazing! 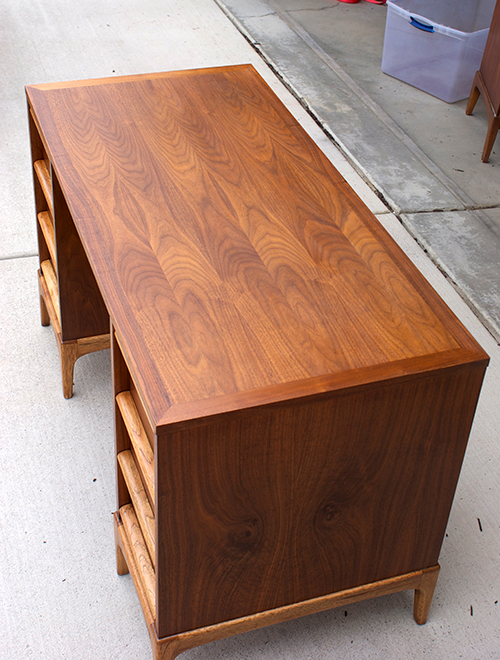 What do you guys put on it after you stain it? 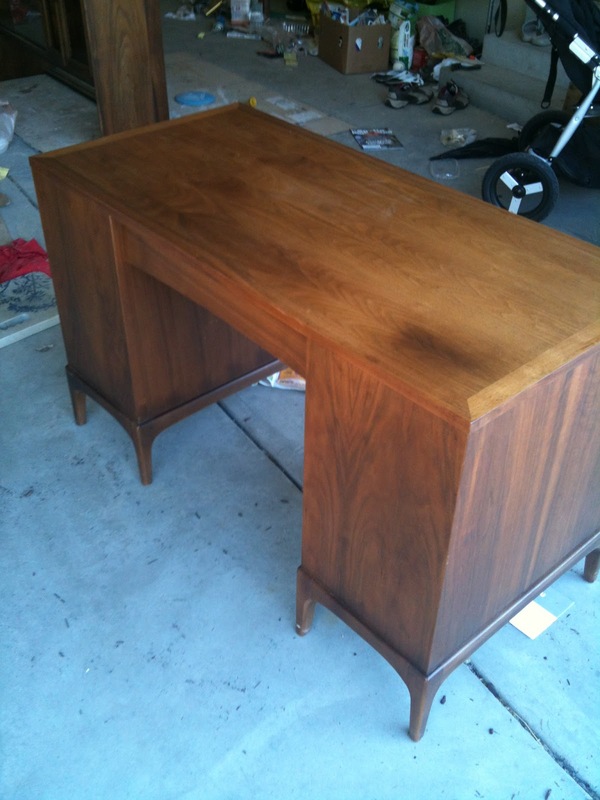 You need to go into the refinishing business. 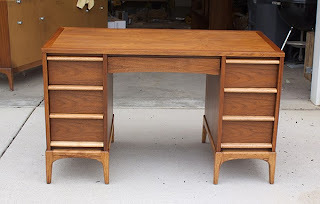 That desk is gorgeous! 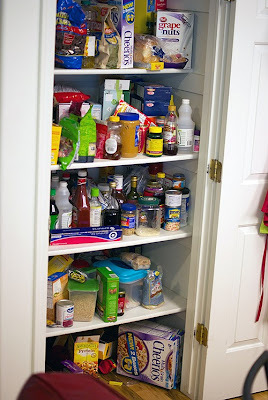 I can't believe how organized you got your pantry, and the Dollar Tree had everything you needed! 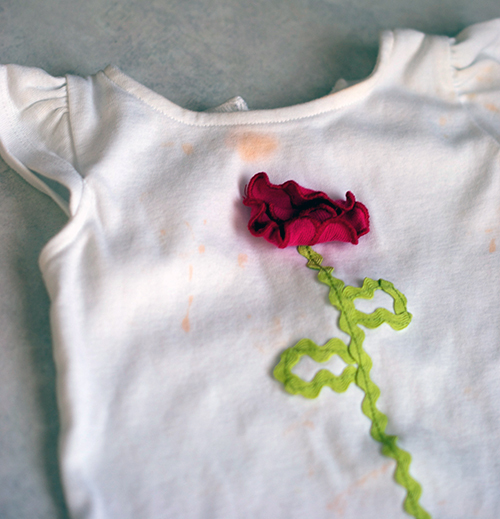 That shirt was way too cute to be stained! Okay, Amelia does the same thing! I keep telling her it's much tastier if she didn't squeeze all the juice out first. That's good to know about the oxyclean and spot remover. I'll give it a try! We put on a wipe-on poly finish by Minwax after staining. It's very forgiving and I love that it looks natural. 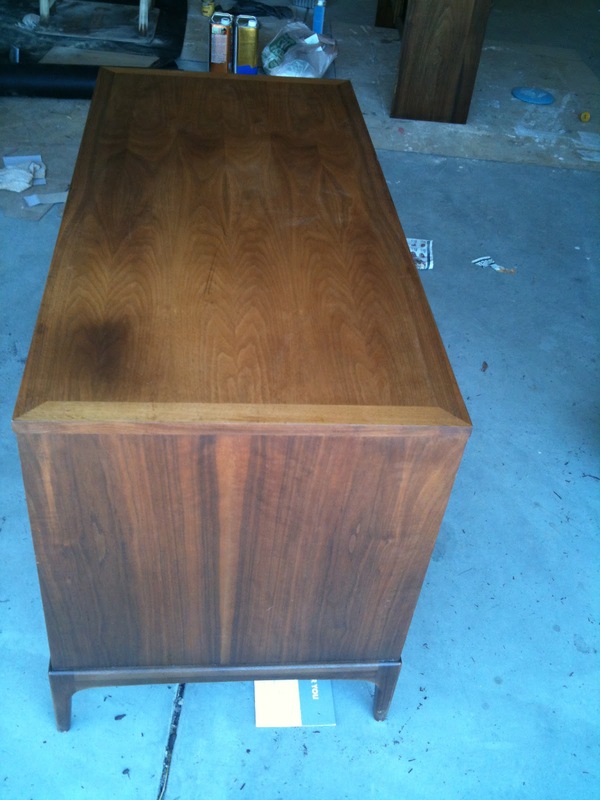 We put on four coats of it. 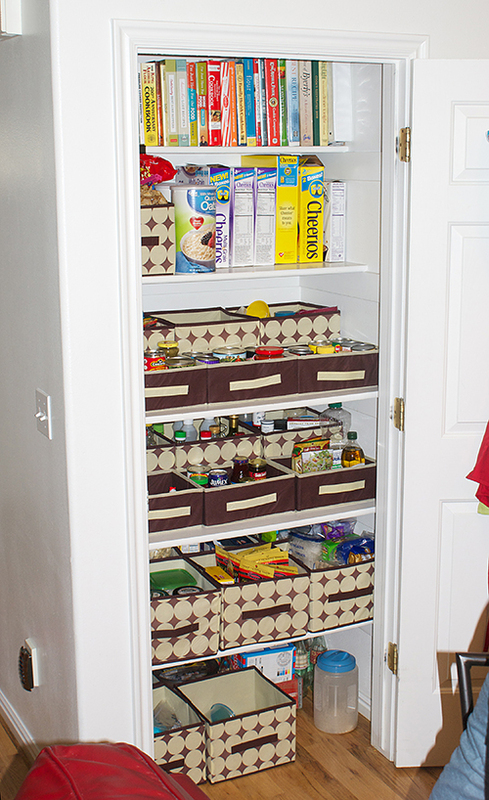 Your re-organized pantry looks awesome! I'm inspired to get ours organized - thanks! 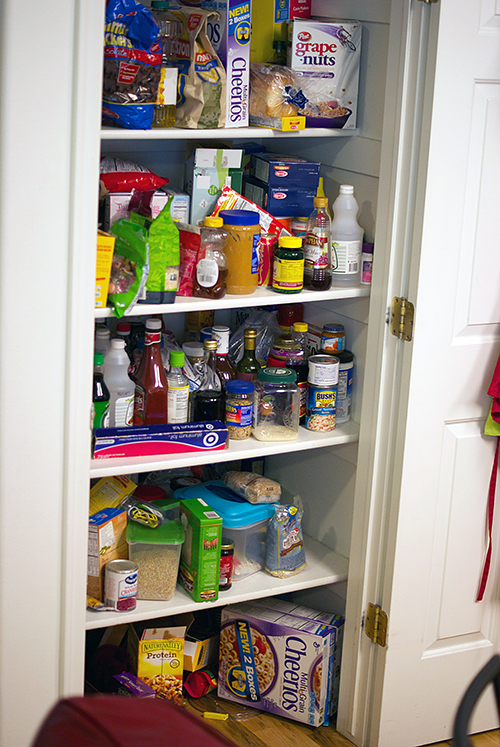 I am so envious of your pantry - both the before and after shots! We don't have one, so food is spread in a million different places. Definitely on my "must have" list for our next house! 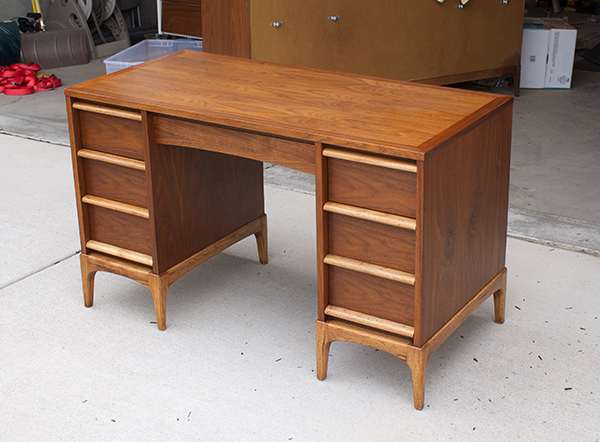 Oh, and that desk?? Gorgeous!! FIND OUT How You Can Master Your Habits And Reprogram The Subconscious Brain To Get Any Result You Want In Your Personal Development and Success!